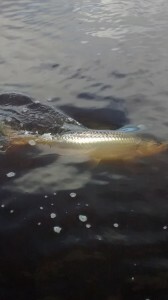 While we were fishing for snook and redfish today, a big school tarpon happened to swim by. 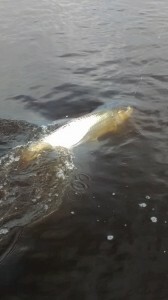 With a great cast from my client, we caught and released this beautiful 40 lb tarpon . November fishing should remain red hot like September and October were. Don’t miss out some great action! Give me a call, and let’s go fishing!